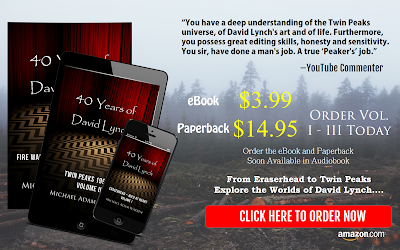 Blue Rose Epics | Entertainment: 40 Years of David Lynch: Volume I Release Day! The perfect companion for anyone wanting to explore and learn more about the films of David Lynch. The first of my five-part series 40 Years of David Lynch - Volume I is released today! My book takes things deeper than I ever had a chance with the blog. 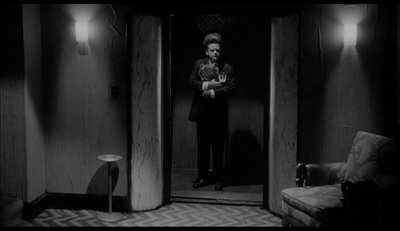 Read it for a more detailed analysis, additional thoughts and insights, and my perspective re-watching all of David Lynch's films and TV series five years later. Volume I explains the mission statement for these volumes and gives an overview of our examination and analysis process and includes a detailed exploration of David Lynch's first five feature films: Eraserhead (1977), The Elephant Man (1980), Dune (1984), Blue Velvet (1986), and Wild at Heart (1990). This is my definitive take on the director I have studied and admired for a number of decades and whose work is so influential that he will likely continue changing the way we engage with movies and TV for many decades to come.